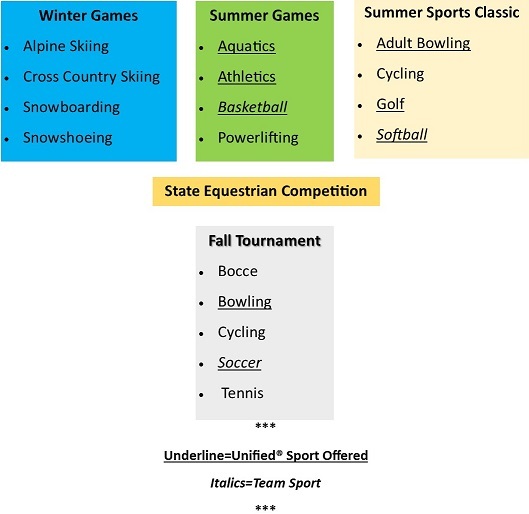 Special Olympics Wyoming is proud to offer 5 sports season throughout the calendar year all of which have a statewide competition. Athletes are required to train for 8-12 weeks in their sport of choice and compete at an Area level competition before advancing onto State level competitions. Motor Activities Training Program (MATP) offers a level of competition based on personal success instead of competition and is available for the lowest functioning athletes. 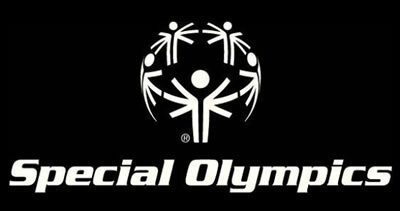 Unified Sports is a new revolution of inclusiveness as Special Olympics athletes and peers without intellectual disabilities train and compete side-by-side! Sports resources are available, including: coaches guides, sports rules, competition registrations, participant forms, etc.